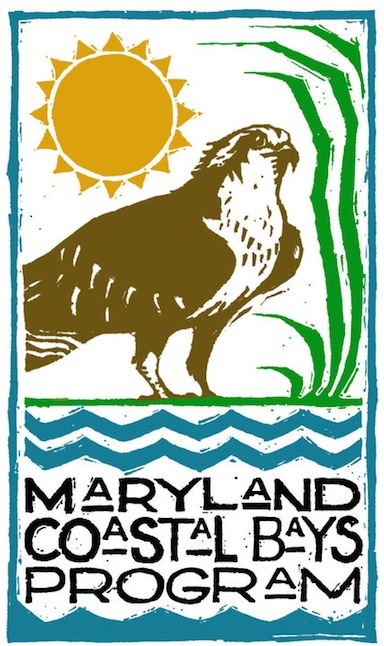 The Maryland Coastal Bays Program is pleased and proud to announce that Berlin resident Tom Patton has been named the winner of our prestigious Golden Osprey Award. The program gives the award for outstanding and life-long achievement toward protecting the coastal bays, and Patton fits the criteria perfectly. Patton is truly in tune with our natural resources, progging for clams, dipping soft shell crabs, hunting and fervently preserving our natural and cultural heritage through action, advocacy and commitment for decades. The Golden Osprey has only been awarded three times before in the history of the Coastal Bays Program. Patton has helped the Coastal Bays Program a great deal over the years, serving on the Coastal Bays Fisheries Advisory Committee, and assisting with blue crab issues and development and growth-related concerns. He was one of the driving forces behind the original and two subsequent conferences on the Coastal Bays. It was the first conference that directly led to the state and Worcester County seeking our acceptance into the National Estuary Program. His volunteer experience also includes work with the Maryland Historical Society, the Lower Eastern Shore Heritage Council, St. Martin’s Church Preservation Foundation, and with political advocacy and community association issues. He serves on the board of the Assateauge Coastal Trust (ACT). His commitment to our natural environment dates back to the 1960s, when he was instrumental in lobbying Congress to create the Assateague Island National Seashore. He was an early participant in the Committee to Preserve Assateague Island – now ACT – and was the driving force behind moving that group from Baltimore to Berlin. He was instrumental in changing the focus of ACT to include the entire coastal bays watershed. Patton played an integral role in the revitalization of downtown Berlin and the formation of the Berlin Farmer’s Market. In 2005 Patton published the book Listen to the Voices, Follow the Trails – Discovering Maryland’s Seaside Heritage, an insightful account of the unique natural and cultural history of Maryland’s seacoast. The book captures the rapidly-disappearing oral traditions past generations, urging readers to explore Worcester County’s many wonderful rural byways, historical sites, and its abundant natural heritage. Patton created the nonprofit Rackliffe House Trust in 2004 with the goal to restore the former plantation house once owned by his ancestors. That same year he leased the house and three acres of the 100-acre parcel for 50 years from the Maryland Department of Natural Resources. The house is located adjacent to the Sinepuxent Bay, near the National Seashore’s visitor center. He has devoted himself to the proper restoration of Rackliffe House with the goal to transform it into a coastal heritage museum. Patton has made a significant difference in the health of our watershed through his dedication and volunteer service. Such involvement is vital to our success as outlined in our Comprehensive Conservation and Management Plan, which states that the program works by recognizing the mutual dependence of good estuary management practices and citizen-based efforts to sustain the community’s culture and economy. As previous Osprey winner and MCBP Foundation Board member Carolyn Cummins puts it, Patton embodies the role of citizen involvement and all that is vital to the success of the with the Coastal Bays Program. Patton also joins Ilia and Joe Fehrer Sr. and Jeanne Lynch in receiving the honor.